Ray Hicks takes the oath of office at the regular meeting of the Crane City Council on Monday, January 22. Hicks will serve the remaining 1 year term vacated by Alderman Ward II Tina Terrell, who resigned. Hicks was appointed by Mayor Brannan. 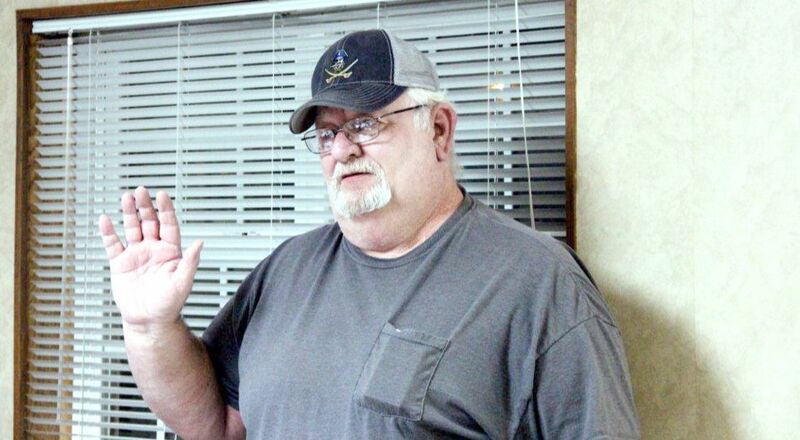 Earlier in January, John Godfrey, volunteer Crane Fire Chief also resigned. The council elected to abstain from appointing a replacement until after the fire department meets again.